bigoldfrog wrote: @ Knightfall02 - The 5th ed. Apocalypse rules we'll be using are still on Forge World's website. Ok thanks for the help! I'll have to read up on this. 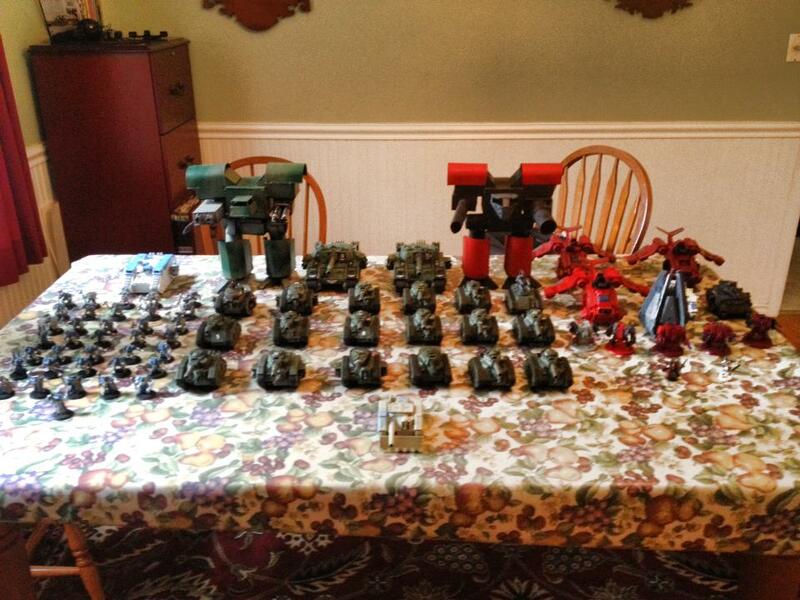 I will be bringing 8k of Imperial Guard tanks and titans and 7.5k of Blood Angels. Its my first Apocalypticon, I'm very excited (although not as excited about basing all my blood angels).